As cool as it must be to be in a Star Wars, to be part of something so many people love and revere, the flip side is that no matter what you do, especially if you’re one of the key players, you’re always going to have to fend off related questions. Small price to pay, but still, after a few decades, it probably gets old. Such is the case with Mark Hamill when he sat down with Yahoo to talk about his role in an upcoming Elf musical special. 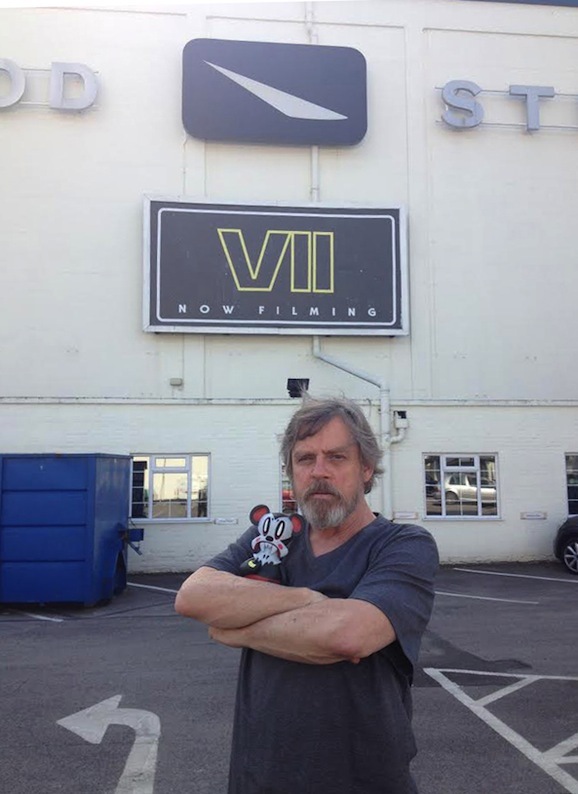 We don’t care a whit about that, but lucky for us, Hamill is always game to talk about that far, far away galaxy, and discussed his experience on Star Wars: The Force Awakens. That is what I call my contractually obligated beard. Listen: I think they look fine on other people. It’s just not me. I mean, I never got used to it. But face foliage is almost a part of the costume. And it does bring a gravitas, perhaps unearned, but nevertheless, it makes a statement that they wanted to make, and I’m more than happy to oblige them. This is about the new generation of characters; I think that’s the most important thing. It’s the opening act of a whole new approach to the storytelling. So I never thought that the stories would be – first of all, I never thought I’d be involved in it again, period. And then when George [Lucas] said that they wanted to do more, I rightly assumed that it wouldn’t be our story, because we had a beginning, a middle, and an end. This must be our offspring and the current generation, with us there lending the kind of support that Peter Cushing and Alec Guinness did in the original. So no, that didn’t surprise me. And I mean, I’m one of those people where I just think, ‘Keep me out of it. I’ll ruin it, I’m sure!’ [Laughs] I’ll show up and just ruin the whole thing. Well, you know, he was someone that was unpredictable. I hadn’t seen him in years; I didn’t know what his feelings were. I know he’s sometimes grown impatient with people that don’t want to focus on what he’s doing currently and want to go stroll down memory lane. God knows, I’m used to that sort of thing. But who knew? And for him to jump back in so enthusiastically, I was delighted. It’s a wonderful character. Everybody loves Han Solo. They never cease to amaze me with what they’re able to come up with, you know? 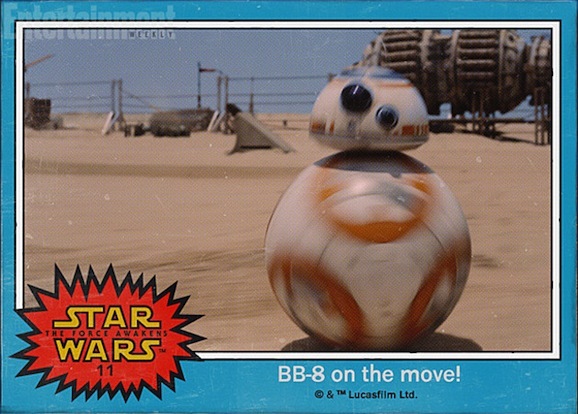 I said, “How are you ever gonna top R2-D2, the most adorable droid in movie history?” And then they have this new one. I can’t even tell you his name, but you saw it in the trailer. And when they were demonstrating how they did this thing, live on set—because it’s not CGI, that’s a live prop—I was just amazed. They let me play around with it. [Laughs] I was running it all around at the creature shop up in Pinewood. I’m telling you, it’s an absolute delight. And not having thought that I’d ever go back there, to go back into that world, is just—I get the chills. It’s just so much fun. You should check out the entire interview for even more, but for now, Hamill’s enthusiasm is infectious and it’s hard not to read this and get excited. We still don’t know much about the movie, but you can bet that over the next year we’ll get a steady trickle. Star Wars: The Force Awakens opens everywhere December 18, 2015.